If you've been in a serious car accident or a minor fender bender, contact Ventura's Auto Body right away. Our talented technicians can repair your vehicle and make it look as good as new once again. Here at Ventura’s Auto Body, we use the latest, State of the Art technology and resources available to ensure your vehicle is safe, look as good as new and that you are satisfied. We are here to assist you with your Auto Insurance Claim from beginning to end. Come to Ventura’s Auto Body. Here we will help you fill your claim with your insurance company, Assist you with a Rent-A-Car provided by our Rental Company Partners, and get you back on the road as soon as possible. Being insured, you have the right to decide which auto body will repair your vehicle. We are fully Insured and licensed to work with All Insurance Companies nationwide, that gives us the authority and creditability to work with your Insurance Provider to determine the best solution for your situation. If along the repair process additional damages are found on your vehicle besides what is listed on the Insurance Company estimate, we will contact the insurance company for a Supplement Inspection, so together we can come up with the best agreement to repair your vehicle the best way. You can count on us to straighten out your vehicle's framework, remove any dings and dents, and repaint scuffed up surfaces. Our expert color matching services are so good, you won't even be able to tell what areas were repainted. If your vehicle's windows or mirrors have been damaged, we can replace them as part of our auto glass services. 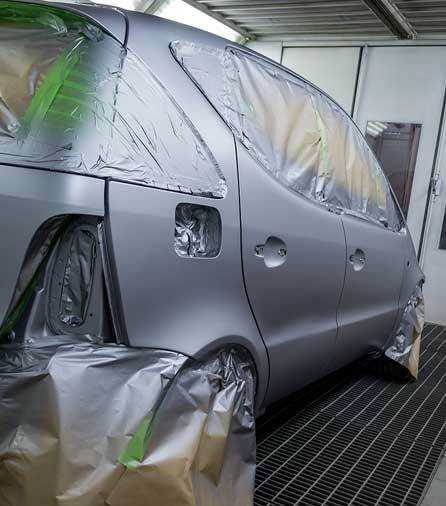 Our award-winning auto body services extend beyond repair work. Let us upgrade your vehicle with custom bodywork to create the car of your dreams. We only use the finest paints and replacement parts on the market today and work with quality Snap-On brand tools and equipment. Ventura's Auto Body is your locally owned complete automotive sales and repair center. We've been around for the past 20 years, serving Lowell, MA, and the surrounding areas. You're sure to appreciate our high-quality service and professionalism. Also, be sure to check out our selection of pre-owned vehicles we have for sale. © 2019 Ventura's Auto Body.